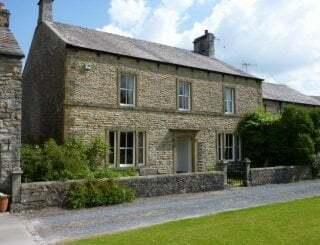 Deerclose West Farmhouse, Horsehouse, Leyburn, Yorkshire, sleeps 6-13 in 6 bedrooms. 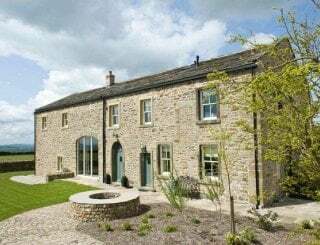 This imposing traditional farmhouse sits close to the small village of Horsehouse, near Leyburn, in the beautiful Yorkshire Dales. 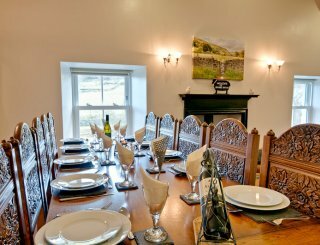 It is ideally set up for friends and families who may be meeting for a significant birthday or anniversary. Please note that we do not accept hen or stag groups. The area has breathtaking scenery for walking or cycling and visitors can bask in opportunities to see fantastic wildlife and exciting historic remains. 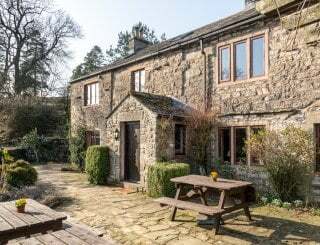 The village pub at Horsehouse is only a short walk from the farmhouse, making it exceptionally popular with many of our guests. 6 bedrooms comprise a mix of super kings, kings, twins and singles. Zip and link beds mean that bedrooms can be turned into twins for convenience of groups. 3 of the rooms are on the ground floor making Deerclose West perfect for multi generational gatherings. 3 of the rooms are en suite but all have excellent access to top notch bathroom facilities. The kitchen and dining area offer light and airy open plan living. The kitchen is fantastically equipped with everything you will need, including an electric and oil Aga. The dining room is a double height galleried area with seating for 14, perfect for celebration meals and socialising. The owner can arrange for outside caterers to come in, allowing you to sit back and relax. Just arrange in advance of arrival. 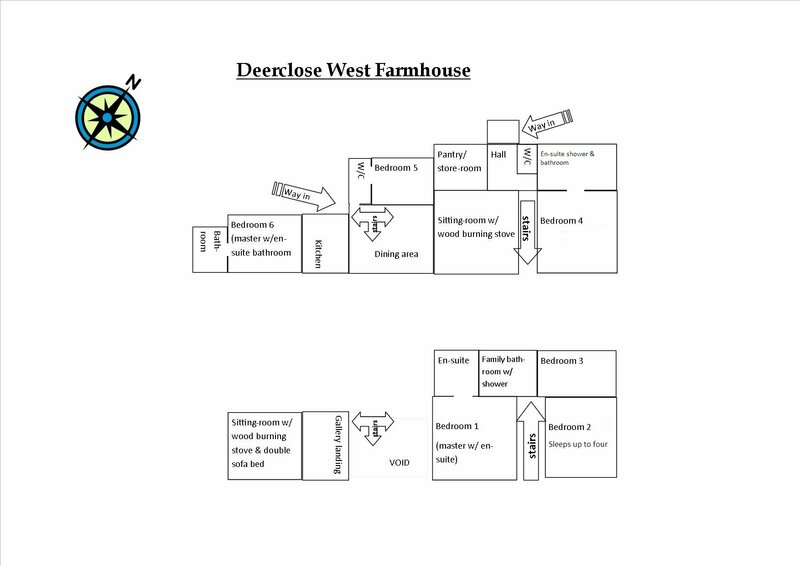 There are 2 seating areas at Deerclose West, one for 8 on the ground floor and another for 6 on the first floor. Whichever you choose, lounge on the luxurious sofas, close to the wonderful log burning stoves. These are fabulous places to chat, play a board game, watch a film together or simply take in the surrounding breathtaking views. 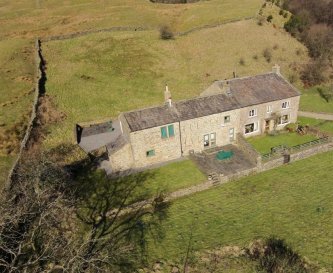 The farmhouse has 1.5 acres of its own grounds and there is plenty of space for outdoor living. Where else would you be able to enjoy your own babbling brook and small waterfall? And there are stunning views from the front patio seating area. 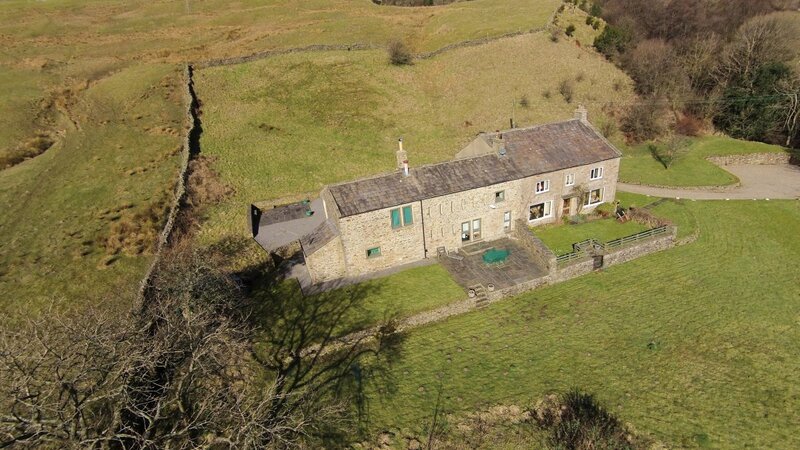 Horsehouse is a very small village in beautiful unspoilt Coverdale. Leyburn is 8 miles away and has a lovely busy market square with a regular market on Fridays. 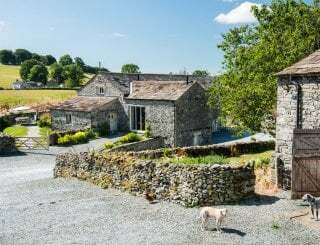 Known as the Gateway to Wensleydale, the town offers a wide range of eateries and craft shops. Fully equipped kitchen with electric and oil Aga, electric oven/hob, microwave, fridge/freezer, washer/dryer and dishwasher. Ample storage space. The open plan double height galleried dining area has seating for up to 14. There are 2 lounge areas, 1 on the ground floor and the other on the first floor. Both have very comfortable sofas with entertainment and log stoves. There are 2 TVs with basic SKY package, a bluray DVD player and a CD player. There is WiFi throughout the farmhouse. There is no mobile reception on any network at this property. 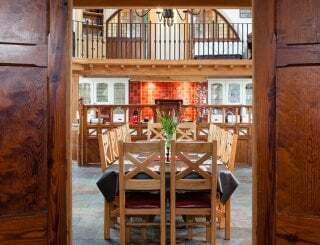 Oil central heating throughout with underfloor heating in the barn and wood burning stoves. Starter pack for stoves is included in the cost. 4 superking rooms (one with additional single and 1x stacker), 1 king, 1 twin. 3 are en suite, one has a jack-&-Jill shower-room. 3 of the bedrooms are en suite plus an en suite shower room. Additional family bathroom and a cloakroom. 3 of the bedrooms are on the ground floor with en suite facilities. A cot and high chair can be made available. Please note that children must be supervised at all times due to the proximity of the brook and waterfall. Lovely front patio seating area where guests can sit and take in the stunning views. Lawns and plenty of space to run around. Brook and waterfall. There is off road parking for 8 cars. 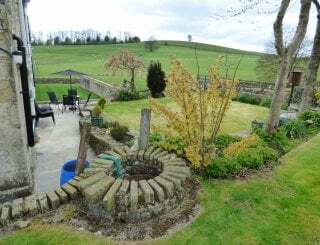 Near Leyburn and the Yorkshire Dales, in a rural setting surrounded by fabulous walking country. Within walking distance of a village pub. 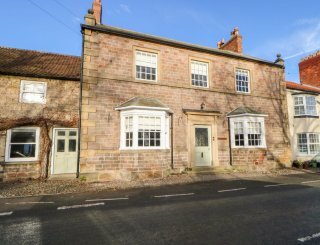 The bustling market town of Leyburn is 10 miles away from Deerclose West. The nearest shop is in Leyburn, 10 miles away. There is a pub within 1 mile of the property. Please get in touch for prices. Changeover day is Saturday. Check in from 4pm and check out by 10am. Darlington railway station is 18 miles away. Durham Tees Valley International Airport is just 29.8 miles from the farmhouse.